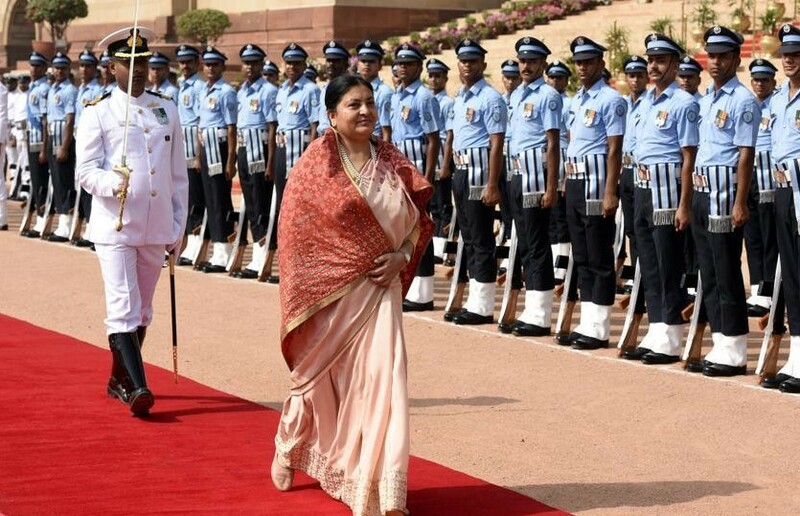 With the first-ever 10-day long Nepal-China joint military drill ongoing, which began on Sunday at the Nepal Army’s Para Training School in Kathmandu, Nepal’s President Bidhya Devi Bhandari is at the same time currently on a five-day visit to India, her first overseas tour, which India considers a diplomatic achievement. Her 33-member high level delegation that included foreign minister, Dr Prakash Sharan Mahat, is carrying a ‘message of friendship’ and to further strengthen bilateral ties. Bhandari was scheduled to visit India in May last year, but it was cancelled after the then Nepal cabinet did not endorse the visit, citing lack of preparations on the part of the government. The joint military exercise, called the Sagarmatha Friendship 2017, in which the Chinese People’s Liberation Army squad is participating, will focus on counter-terrorism and disaster response. According to reports, though Nepal and China had a large-scale military exercise plan, Kathmandu limited the scope of the exercise after strong opposition from India. In Delhi, Bhandari had talks with President Pranab Mukherjee and Prime Minister Narendra Modi on exploring ways to step up cooperation between the two close neighbours. The bilateral ties had some strains following the Madhesi community’s agitation last year. During the talks, Bhandari is believed to have sought India’s support for local body polls to be held on May 14, but India, which has been pushing for all stakeholders to join the electoral process, is so far silent on the kind of assistance it was planning to offer. But surprisingly, on Tuesday, China became the first to offer assistance for the elections. China had announced nine million Yuan during Prime Minister Pushpa Kamal Dahal‘s recent visit to the country. Nepal has also purchased 30,000 ballot boxes from China. Historically, Nepal-India relations acquired strategic importance after Tibet became the autonomous region of China making Nepal the buffer state between India and China.